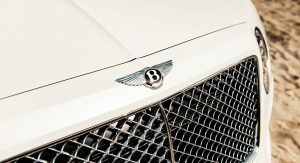 Since the countries of the Arabian Gulf are one of Bentley’s most important sales markets, the automaker regularly releases Middle East-themed special edition models. 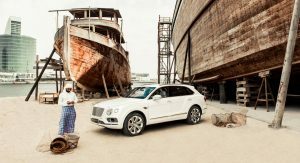 The latest one is called Bentayga Pearl of the Gulf by Mulliner and is a highly personalized SUV that celebrates the Arabian Gulf’s pearl diving heritage. 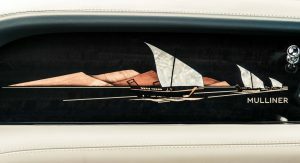 Commissioned by a Middle Eastern customer, the Bentayga special brings a bespoke interior that features intricate marquetry on the Dark Fiddleback Eucalyptus fascia showing a pearl diving dhow boat scene, with Mother of Pearl inlays. 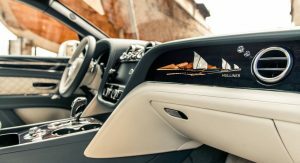 The luxurious interior is a combination of Linen and Brunel hides, a color scheme that supposedly inspired by the natural beauty of pearls. 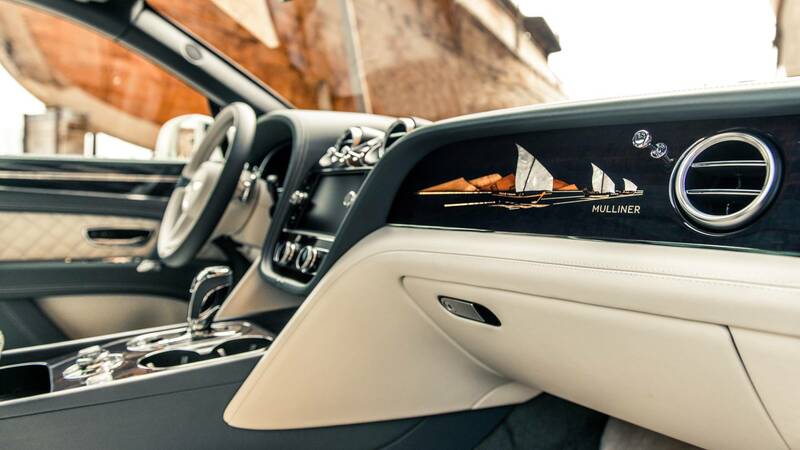 Contrast stitching is featured on the quilted seats and door inserts, while the Bentayga’s pearl theme is highlighted by the gold thread embroidery and Mother of Pearl Breitling clock in the dashboard centerpiece. 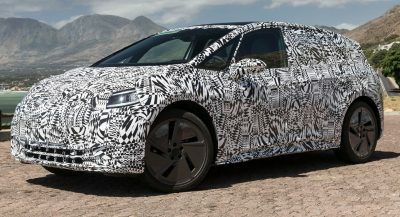 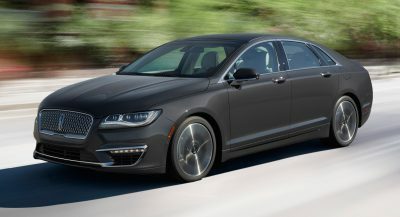 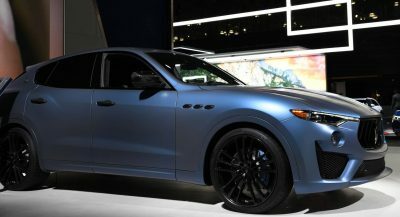 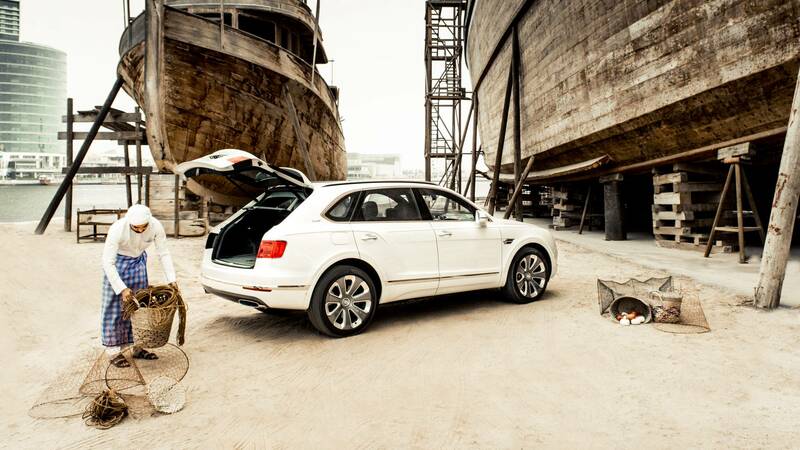 The SUV also comes with a fingerprint secure storage that will allow the owner to keep their pearls or anything else they want in complete safety. 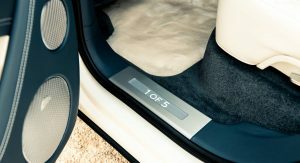 A high-pressure, die-cast aluminum secure stowage unit integrated into the center console can be used to stow valuables when away from the car or when utilizing valet parking services. 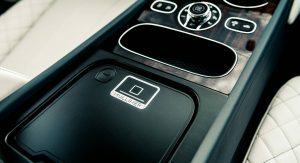 Finally, interior modifications also include lambswool rugs cut in matching Linen and Mulliner illuminated tread plates. 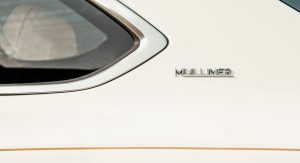 On the outside, the Bentayga Pearl of the Gulf looks pretty understated compared to other special editions, featuring only Mulliner badges on the D-pillars, a unique body color and two-tone alloys, as well as contrasting brightware in a light copper tone. 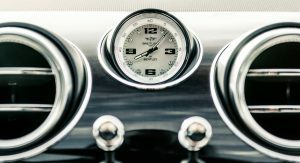 All five customized Bentaygas are powered by Bentley’s 6.0-liter twin-turbocharged W12 that produces 608 PS (600 hp) and 664 lb-ft (900 Nm) of torque. 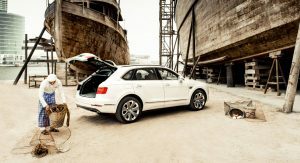 After the Lambo, the VW group takes on Bentley. 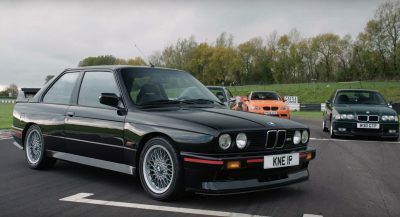 Hard-to-match peak of bad taste.